Often called 'the busiest man in literature', Kwame will celebrate the publication of eight new books in 2016-2017. Born in Ghana in 1962, Kwame Dawes moved to Jamaica in 1971 and spent most of his childhood and early adult life in Jamaica. He is a writer of poetry, fiction, nonfiction, and plays. As a poet, he is profoundly influenced by the rhythms and textures of that lush place, citing in an interview his “spiritual, intellectual, and emotional engagement with reggae music.” Indeed, his book Bob Marley: Lyrical Genius remains the most authoritative study of the lyrics of Bob Marley. Of his seventeen collections of poetry, his most recent titles include Duppy Conqueror (Copper Canyon, 2013); Wheels (2011); Back of Mount Peace (2009); Hope’s Hospice (2009); Wisteria, finalist for the Patterson Memorial Prize; Impossible Flying (2007); and Gomer’s Song (2007). Progeny of Air (Peepal Tree, 1994) was the winner of the Forward Poetry Prize for Best First Collection in the UK. Other poetry collections include Resisting the Anomie (Goose Lane, 1995); Prophets (Peepal Tree, 1995); Jacko Jacobus, (Peepal Tree, 1996); and Requiem, (Peepal Tree, 1996), a suite of poems inspired by the illustrations of African American artist, Tom Feelings in his landmark book, Middle Passage: White Ships/Black Cargo; and Shook Foil (Peepal Tree, 1998), a collection of reggae-inspired poems. His book, Midland, was awarded the Hollis Summers Poetry Prize by the Ohio University Press (2001). Dawes was a winner of a Pushcart Prize for the best American poetry of 2001 for his long poem, “Inheritance.” The poem was later selected as part of the anthology celebrating thirty years of Pushcart Prize winners. He has published two novels: Bivouac (2009) and She’s Gone (2007), winner of the 2008 Hurston/Wright Legacy Award for Best First Novel. In 2007 he released A Far Cry From Plymouth Rock: A Personal Narrative. His essays have appeared in numerous journals and periodicals including Bomb Magazine, The London Review of Books, Granta, Essence, World Literature Today, The Washington Post, USA Today, and Double Take Magazine. For several years Dawes was a regular columnist on poetry for the State Newspaper in Columbia, South Carolina. Dawes is also the editor of many anthologies including: Seeking: Poetry and Prose Inspired by the Art of Jonathan Green (University of South Carolina Press, forthcoming, 2013) Twenty: South Carolina Poetry Fellows (Hub City, 2006); So Much Things to Say: 100 Calabash Poets (Akashic Books, 2010; Jubilation: 50 Poets Celebrating Jamaican Independence (Peepal Tree, 2012), Wheel and Come Again: An Anthology of Reggae Poems (Peepal Tree/ Gooselane Editions 2005); The Chemistry of Color (Stepping Stone Press, 2008) A Bloom of Stones: A Tri-Lingual Anthology of Haitian Poems After the Earthquake (Peepal Tree Press, 2012) Hold Me to an Island: Caribbean Place (Peepal Tree 2012): An Anthology of Writing, Home is Where: An Anthology of African American Poetry from the Carolinas (Hub City, 2011), and Red: Contemporary Black Poetry (Peepal Tree Press, 2010). In 2009, Dawes won an Emmy for LiveHopeLove.com, an interactive site based on Kwame Dawes’s Pulitzer Center project, HOPE: Living and loving with AIDS in Jamaica. It has won other accolades including a People’s Voice Webby Award, and was the inspiration for the music/spoken word performance Wisteria & HOPE which premiered at the National Black Theatre Festival in North Carolina. In 2011, Dawes reported on HIV AIDS after the earthquake in Haiti and his poems, blogs, articles, and documentary work were a key part of the post-earthquake Haiti reporting by the Pulitzer Center on Crisis Reporting that won the National Press Club Joan Friedenberg Award for Online Journalism. Voices of Haiti was released in July 2012 as a dynamic i-book published by the Pulitzer Center on Crisis Reporting. Dawes’s other awards include The Forward Prize for Poetry for his first book, Progeny of Air, (1994), The Hollis Summers Prize for Poetry (Midland, 2002), a Pushcart Prize (2001), Hurston/ Wright Legacy Award for his debut collection She’s Gone (2008), the Poets and Writers Barnes and Noble Writers for Writers Award (2011), a a Guggenheim Fellowship for Poetry (2012). He received the Musgrave Silver Medal for contribution to the Arts in Jamaica (2004); the Elizabeth O’Neill Verner Governor’s Award for service to the arts in South Carolina (2008), and in 2009 he was inducted into the South Carolina Academy of Authors. Dawes is an actor, playwright, and producer, an accomplished storyteller, broadcaster, and was the lead singer in Ujamaa, a reggae band. Fifteen of his plays have been produced, and he has acted in, directed or produced several of these productions himself, most recently One Love at the Lyric Hammersmith in London. Commissioned by Talawa, Britian’s leading black theatre company, and inspired by Rogert Mais’ classic novel Brotherman, One Love takes us to the heart of the Jamaican soul, as actors, dancers, singers, life musicians, and a DJ draw on influences such as Bob Marley and Lee “Scratch” Perry to tell this powerful parable of desire and denial. Through the years, Dawes has collaborated with musicians and artists to create a dynamic series of performances based on his poetry that have proven to be some of the most compelling and challenging presentations of poetry being performed today. His most consistent collaborator in these projects has been the poet and musician Kevin Simmonds. Their collaborations include, “Wisteria: The Performance” (Debut, Columbia, SC 2006), “I Saw Your Face: The Performance” (debut Columbia Museum of Art, 2007), “Hope: Living and Loving with HIV/ AIDS” (debut, National Black Theater Festival, Winston Salem, NC 2009) and “Voices of Haiti: The Performance” (debut National Black Theatre Festival, Winston Salem, NC 2011). These performances have been staged through out the US and abroad including a UK tour of “Wisteria” and a performance of “Voices of Haiti” in Haiti. Other similar collaborations include “Requiem: A Performance” with composer, John Carpenter based on the work of Tom Feelings, and “Brimming: The Performance” staged and designed by Kwame Dawes, himself. Until July 2011, Dawes was Distinguished Poet in Residence, Louis Frye Scudder Professor of Liberal Arts and founder, and executive director of the South Carolina Poetry Initiative. He was the director of the University of South Carolina Arts Institute. 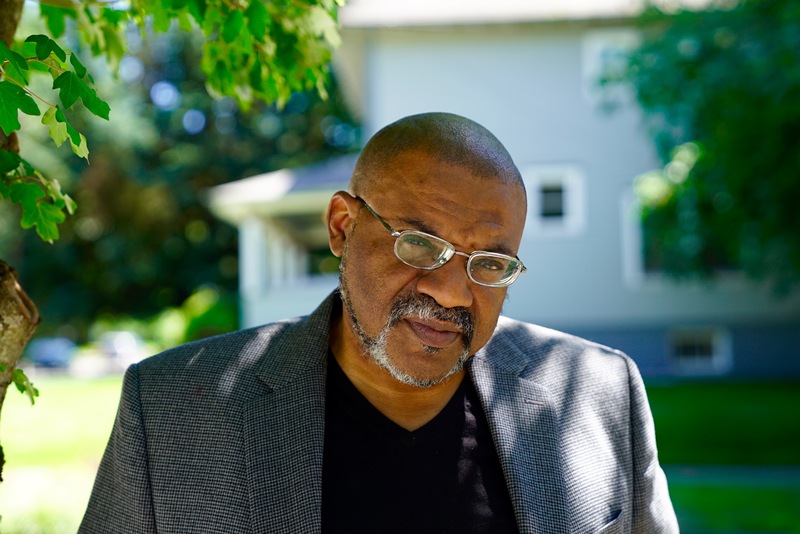 Dawes is currently the Glenna Luschei Editor of Prairie Schooner at the University of Nebraska, where he is a Chancellor’s Professor of English, a faculty member of Cave Canem, and a teacher in the Pacific MFA Program in Oregon. He is co-founder and programming director of the Calabash International Literary Festival, which takes place in Jamaica in May of each year.